As early as 1906 an article about competitive sports in the magazine Tianjin Youth voiced Chinese aspirations to host the Olympics. The promotion of sports and physical fitness were an important part of China’s efforts to modernize and throw off the yoke of the past—one of Mao Zedong’s first published writings, for instance, was A Study of Physical Education (April 1917). When China won the competition to host the 2008 games in July 2001, it occasioned a swell of patriotic enthusiasm that has yet to subside. Although preparations for the Olympics, especially transmission of the torch, have been questioned in the aftermath of the Sichuan earthquake, many believe they symbolize hope for the future. Perhaps this optimism is embodied in the many unique buildings erected in Beijing, the main venue for the games. Among them, the National Stadium(called the “Bird’s Nest”), theNational Aquatic Center (the “Water Cube”), the Beijing Capital International Airport Terminal 3, China Central Television’s new headquarters, and the National Center for the Performing Arts (formerly called “The National Grand Theater”) have helped transform the city into a world-class global metropolis. For a brief period in summer 2008 Beijing will be the focus of world attention. The visionary structures built to house the 2008 Olympiad and other new additions to the city. This web-companion provides a brief introduction to some of Beijing’s important architectural sites and historically contextualizes their significance. Links to additional web resources are provided so that readers can learn more about one of the world’s most important cities. 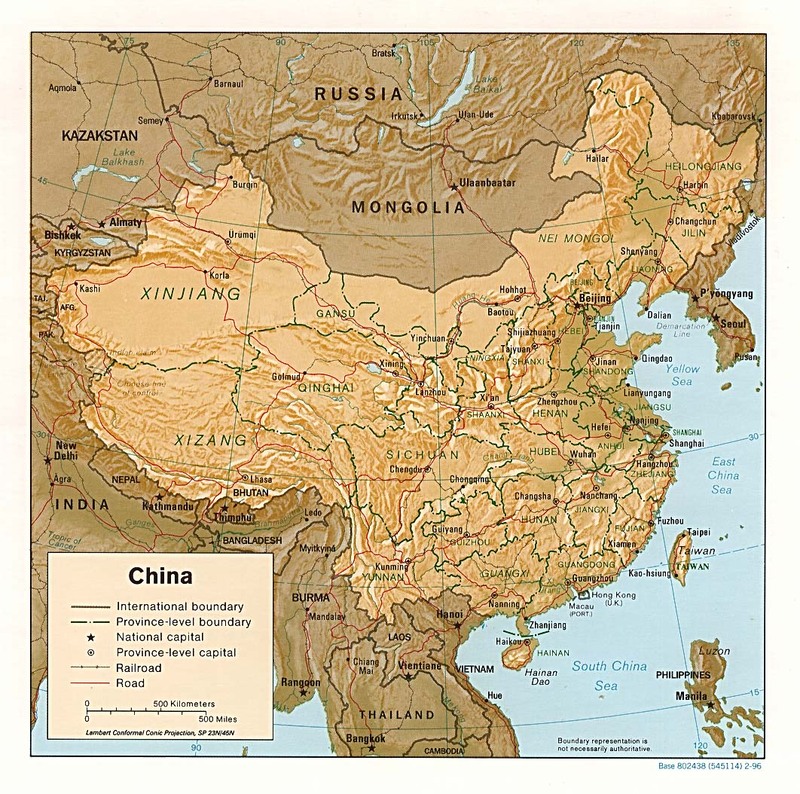 Beijing, capital of the People’s Republic of China, is situated on the edge of the north China plain. It covers an area of about 6,500 square miles. Mountains to the northeast and west encircle the city; flatlands on the south and east extend to the Bohai Sea, also known as Beijing Bay. Beijing’s history as a capital goes back to the late thirteenth century. In the wake of the Mongol conquest of north China, Khubilai Khan ordered the building of Dadu (“Great Capital”) in 1266. Located north of the center of modern Beijing, remains of its walls can still be seen there today. Marco Polo, visiting Dadu in the late thirteenth century, marveled at the size of the Great Khan’s palace and the riches it contained. Mongol rule in China—the Yuan dynasty (1279-1368)—lasted less than a century. In 1368, after driving out the Mongols and defeating his rivals, Zhu Yuanzhang founded the Ming dynasty (1368-1644). During the sixteenth century the brick-faced city walls enclosed an area of twenty-four square miles, almost identical in area to Manhattan Island. Beijing was laid out along a north-south central axis extending almost five miles from one wall to the other; within this square lay the Imperial City and, within that, the Palace City more commonly known as the “Forbidden City.” These huge architectural complexes made Beijing both a center of government and a religious center. One of the most impressive political ceremonies was the emperor’s morning audience where, beginning and ending before sunrise, he met with all civil officials serving in the capital. As “Son of Heaven” (Tianzi) the emperor was “the pivot of all living things.” 3The rituals he conducted in the Imperial City and its environs were meant to ensure the well-being of the entire country. A well-documented entry from Wikipedia. Entry for the Forbidden City on UNESCO’s list of World Heritage sites. Scroll to the bottom of the page for link to the 360º zoomable panograpic images. Click on the map to access photos of different parts of the Forbidden City. Entry for the Temple of Heaven on UNESCO’s list of World Heritage sites. Scroll to the bottom of the page for link to the 360º zoomable panograpic images. These albums include photographs of the siege of the Foreign Legations in Beijing during the Boxer rebellion (June – August 1900). An extensive list including history; architecture; autobiography, memoirs, biography; and fiction. This worksheet from the National Archives might be useful in the classroom. 2 Ray Huang. 1587, A Year of No Significance: The Ming Dynasty in Decline. New Haven: Yale University Press, 1981, p. 7. 6 Words of the Han dynasty thinker Dong Zhongshu (195?-105? BCE). From: W.T. de Bary. Sources of ChineseTradition. Vol. 1. New York: Columbia University Press, 1999, p. 298. In the waning years of China’s last imperial dynasty, the Qing Dynasty (1644-1912), Beijing was the site of sometimes fierce battles over the political control and direction of an emerging nation-state. A historic turning point for Beijing’s status as the stronghold of an impregnable empire came at the conclusion of the Second Opium War. In October 1860, British and French forces entered Beijing, forcing the Xianfeng Emperor and the imperial family to flee to Manchuria. The troops looted and destroyed the Yuan Ming Yuan (“Garden of Perfect Clarity”) Summer Palace in a symbolic gesture of humiliating China. Today the ruins are a protected historic site to remind citizens of China’s “century of humiliation”. A second Summer Palace,the Yi He Yuan (“Garden of Nurturing Harmony”), which had also been plundered by troops in 1860, was restored and became the residence of Empress Dowager Cixi popular tourist attraction today, it was often singled out during the Maoist heyday as an example of feudalistic extravagance at the expense of the people’s well-being. With the establishment of the Republic of China in 1912, Yuan Shikai assumed the role of President with Beijing as the capital. Yuan eventually attempted to enthrone himself as Emperor; this failed power-grab set off a prolonged period of local warlords vying for control over the capital. (Yuan, in fact, was the last person to perform the annual rites for a good harvest alluded to in the previous section). After the Northern Expedition successfully reunified the country in 1928, Nanjing was officially designated the capital of China and Beijing reverted back to being named “Beiping” (“The North Pacified”). The Japanese occupied Beiping from 1937 to 1945. At the end of the end of a civil war between the Communist and the Nationalists in January 1949, Communist forces peacefully entered the city and reestablished it as the capital of the People’s Republic of China. Events of the late nineteenth century through the establishment of the People’s Republic of China reshaped Beijing from an imperial capital to the capital of a communist nation struggling with its imperial heritage and eager to project a modern image. If there is one site that embodies the vicissitudes of 20th Century Beijing history, it is probably Tiananmen (“Gate of Heavenly Peace”) and the complex of governmental buildings and monuments in and around the Tiananmen Square. Tiananmen Gate itself has always been an integral part of the Forbidden City complex and the area in front of it was originally off limits to the general public. The public square that now occupies the space south of Tiananmen Gate has changed significantly since the 1950s. Inspired in part by Moscow’s Red Square, Tiananmen has served for public rallies and military parades since Mao famously declared on October 1, 1949, “on this day, the Chinese people stand up!” At 100 acres, it is the largest public square in the world. In the center of the southern end of the square stands the Monument to the People’s Heroes, completed in 1958. This monument bears a calligraphic inscription by Mao that reads, “The People’s Heroes are Immortal!” At its base are eight main relief carvings commemorating important historical rebellions or uprisings of the nineteenth and twentieth centuries. Standing at the foot of the monument and facing Tiananmen Gate to the North, one sees Mao’s famous portrait. To the East is the Museum of History and the Revolution, and to the West is the <="" a="">, where the National People’s Congress convenes. Clearly reflecting a Soviet influence, these buildings were two of ten “great buildings” erected for the tenth anniversary of the foundation of the People’sRepublic of China. After Mao Zedong’s death in 1976, The Chairman Mao Memorial Hall was unveiled in 1977, situated right behind the Monument to the People’s Heroes and completing the current symbolic ordering of the square. For many people, the events surrounding the pro-democracy student movement and its suppression on June 4, 1989, made an indelible impression on how we understand and read Tiananmen Square as a public space. The student protests during this time are but one instance in modern Chinese history where the space has been the site of important historical public protests: the May Fourth protests in 1919 against the signing of the Treaty of Versailles that inspired a new sense of nationalism, mass rallies during the Cultural Revolution, the1976 “Tiananmen Incident,”, as well as the 1989 incident. Standing in the center of the square, one gets a full appreciation of the tremendous changes Beijing underwent during the twentieth century. Research site on the destruction of the Yuan Ming Yuan Summer Palace in 1860; many valuable primary sources and visuals. Entry for the Summer Palace on UNESCO’s list of World Heritage sites. Scroll to the bottom of the page for link to the 360º zoomable panograpic images. A website associated with the feature-length documentary, Morning Sun, about Beijing during the Cultural Revolution. The feature-length documentary, The Tank Man, about the anonymous protester who faced down a column of tanks on June 5, 1989, is available on-line. A “Teacher’s Guide” is also available. A website associated with the feature-length documentary, The Gate of Heavenly Peace, about the June 4th student protest in 1989. Many valuable resources on Tiananmen Square. As Beijing enters the twenty-first century, it is once again reshaping itself. Still the nation’s center of political power, it is also increasingly seen as a global center of business, art, and culture on par with other global cities such as Tokyo, London, Paris, or New York. Hosting the 2008 Summer Olympics is viewed by many as an opportunity to highlight just how cutting-edge Beijing is. While the Olympic Village and the many venue buildings associated with the games will no doubt attract much notice, Beijing has witnessed a creative flourish of construction throughout the city that also demands attention. The new Paul Andreu designed National Center for the Performing Arts (colloquially known as “the Egg” and formally known as “The National Grand Theater”), for example, stands in stark contrast to both the careful cosmological symbolism of the Forbidden City’s layout and the carefully designed symbolic arrangement of past and present in the buildings surrounding Tiananmen Square. If nothing else, the “Egg” announces a new era in Beijing architecture that is spurring debate between supporters and detractors. Government sponsored construction is not alone in boldly advancing Beijing’s global city status. Contemporary Beijing is a hotbed of independent artistic and architectural activity. Places such as 798 Art Space (a former East German-designed factory refurbished into a trendy gallery and café complex) and the Commune by the Great Wall (a private “architectural museum” of residential buildings designed by contemporary Chinese and Asian architects now serving as a luxury hotel) demonstrate how artists and architects are molting off their socialist past and positioning themselves as trendsetters for a transnational, cosmopolitan generation. But for all of Beijing’s new-found glamour and assertiveness as a global city, it also faces daunting local challenges. Perhaps the biggest challenge on Beijing’s horizon is a growing water scarcity crisis. Plans are underway to divert water from more water-plentiful southern regions through an ambitious South-to-North Water Diversion Project. Similar critical innovations in addressing growing energy needs will also play a decisive role in shaping Beijing and its population in the future. For now, Beijing stands prepared to show the world this summer its pride in its glorious past and its hope for continued prosperity. Includes an “Education” section to give information about the Games’ work with Chinese schools. A PDF guide for teachers of 60 primary cross-curriculum topics and activities themed around the 2008 Olympic Games in Beijing. Especially useful for primary-level children. Includes an interactive section on China’s water crisis and its South-to-North Water Diversion Project. Republican Beijing: The City and Its Histories. Michael Dutton, et. al., 2008. Beijing—A Concise History. New York, NY: Routledge. Resources. Warren, CT: Floating World Editions.